Wat is dit voor site? Wij zoeken de goedkoopste boeken op internet. 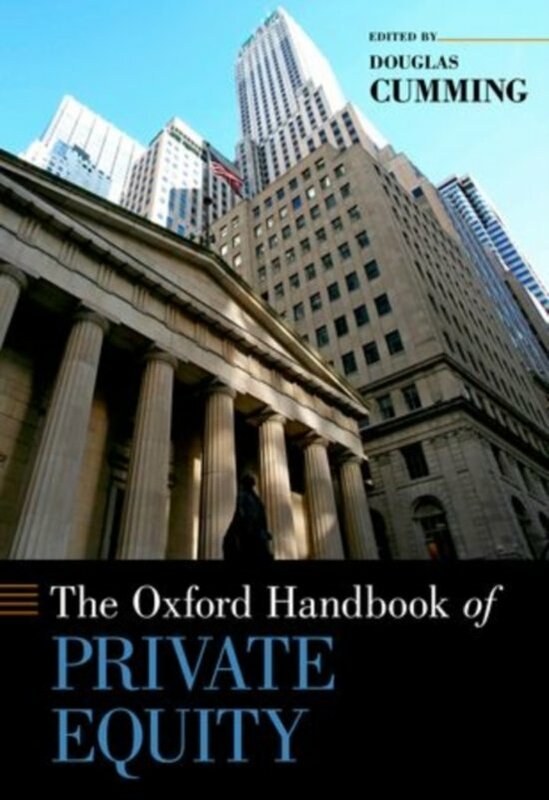 The Oxford Handbook of Private Equityvonden we het goedkoopst op Bol.com voor €171.99. We hebben gezocht in nieuwe en tweedehands boeken. Rechtsonderaan de pagina kan je het boek direct bestellen	via Bol	.com. The term private equity typically includes investments in venture capital or growth investment, as well as late stage, mezzanine, turnaround (distressed) and buyout investments. It typically refers to the asset class of equity securities in companies that are not publicly traded on a stock exchange. However, private equity funds do in fact make investments in publicly held companies. Chapters in this book cover such public investments. The Handbook provides a comprehensive picture of the issues surrounding the structure, governance, and performance of private equity. It comprises contributions from 41 authors based in 14 different countries. The book is organized into eight parts, the first of which introduces the issues, explains the organization of the handbook and briefly summarizes the contributions made by the authors in each of the chapters. Part II covers the topics pertaining to the structure of private equity funds. Part III deals with the performance and governance of leveraged buyouts. Part IV analyzes club deals in private equity, otherwise referred to as syndicated investments with multiple investors per investees. Part V provides analyses of the real effects of private equity. Part VI considers the financial effects of private equity. Part VII provides analyzes of listed private equity. Finally, Part VIII provides international perspectives on private equity.